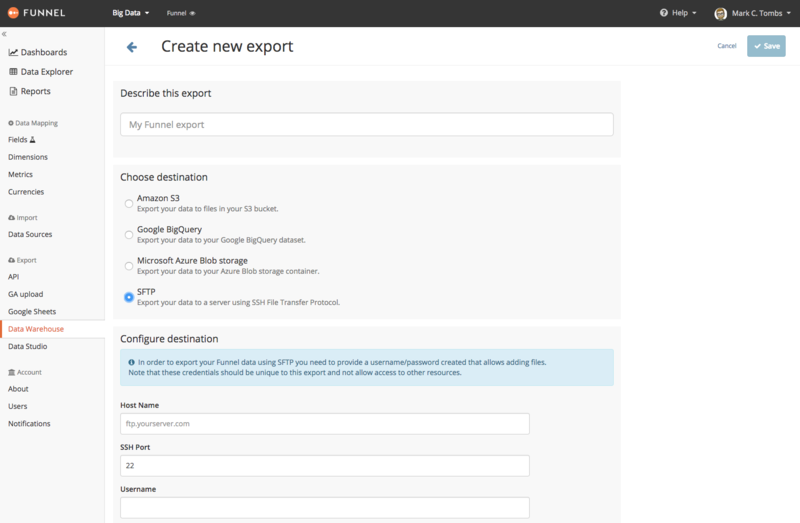 Now you can export your Funnel data to an SFTP server! Just choose SFTP when creating a new export. 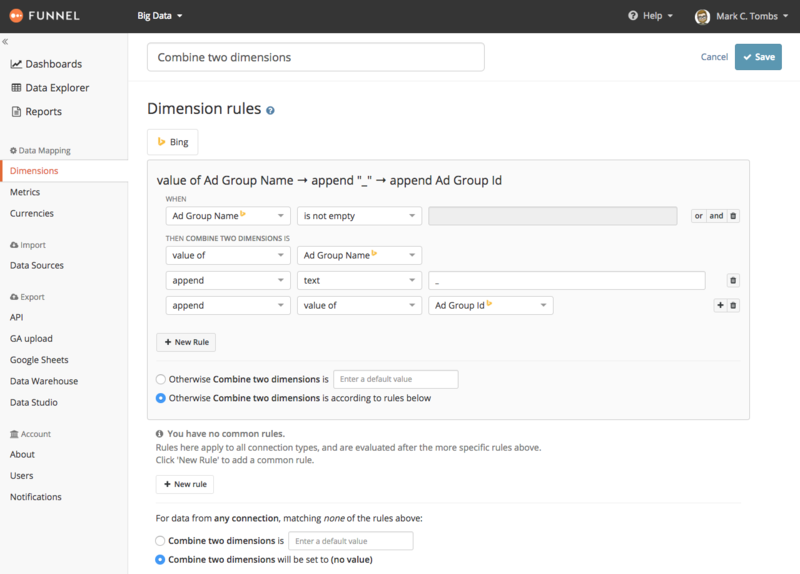 We've added new ways to manage the results of your dimension rules. You might want to combine values from two dimensions, or extract parts of a dimension, then append a prefix, then make the whole thing lowercase, or replace certain characters in campaign names.